Total of 9 individually crafted logs. Charred wood chips surrounding burner. 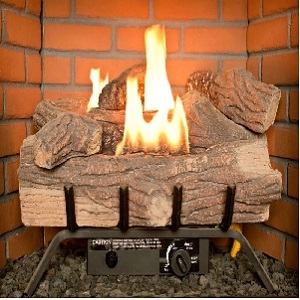 The burner system engineered to create an incredibly colorful and realistic flame pattern. 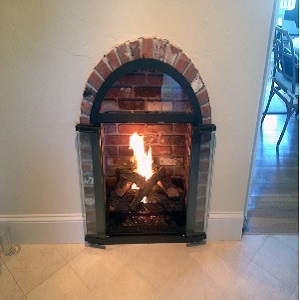 Revolutionary burner system generates substantial radiant heat. For distinguished taste, “Triple Layer” hand painted log detail. 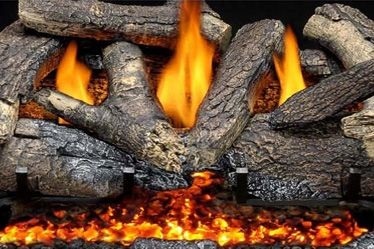 Beautiful natural looking flames that dance and curl around logs to mirror nature’s unique design. 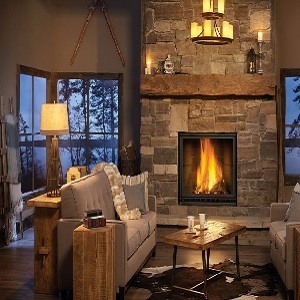 Warmth of fire created by the highly efficient three tier burner system. Attractive hand-painted logs are very appealing even when not burning. Quick and easy setup, only gas line is needed to get started. Realistic burned through look allows beautiful ember bed to smolder brightly between logs. ODS pilot ensures safe use of log set. Available 24″, 30″ AND 36” sizes.